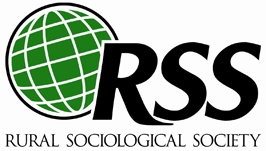 The Rural Sociological Society’s (RSS’s) Ethics Committee created the Code of Ethics which sets forth the principles and ethical standards that underlie RSS members’ professional responsibilities and conduct. These principles and standards should be used as guidelines when examining everyday professional activities. They constitute normative statements for RSS members and provide guidance on issues that RSS members may encounter in their professional work. The Preamble and General Principles of the Code are aspirational goals to guide RSS members toward the highest ideals of our Society. Although the Preamble and General Principles are not enforceable rules, they should be considered by RSS members in arriving at an ethical course of action and may be considered by ethics bodies in interpreting the Ethical Standards. The Ethical Standards set forth enforceable rules for conduct by RSS members. Most of the Ethical Standards are written broadly to apply to RSS members in varied roles, and the application of an Ethical Standard may vary depending on the context. The Ethical Standards are not exhaustive. Any conduct that is not specifically addressed by this Code of Ethics is not necessarily ethical or unethical. Membership in the RSS commits members to adhere to the RSS Code of Ethics and to the Policies and Procedures of the RSS Ethics Committee. Members are advised of this obligation upon joining the Society and that violations of the Code may lead to the imposition of sanctions, including termination of membership. RSS members subject to the Code of Ethics may be reviewed under these Ethical Standards only if the activity is part of or affects their work-related functions, or if the activity is sociological in nature. Personal activities having no connection to or effect on RSS members’ performance of their professional roles are not subject to the Code of Ethics. To report an incident of harassment or violation of ethics to the RSS Ethics Committee contact any member of the Ethics Committee. Committee members are listed below. The Ethics Committee is committed to respecting the privacy and confidentiality of any member who submits a report.